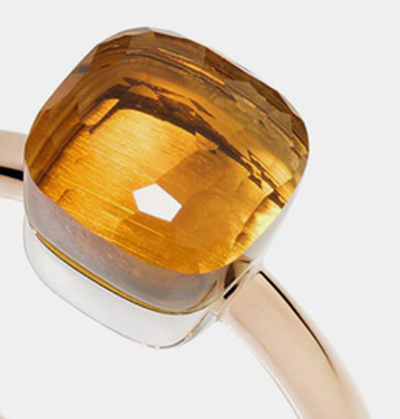 Pomellato monitors and evaluates its environmental impact through the Environmental Profit & Loss account (EP&L link to www.kering.com), published every year by the Kering Group. 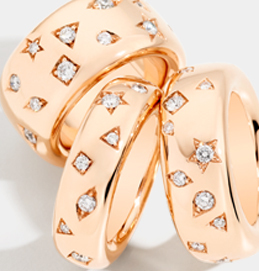 In order to reduce the impact related to the sourcing of precious raw materials, and even more so now that the company obtained Responsible Jewellery Council Certification, the goal is to reach 100% responsible gold sourcing via the Kering RESPONSIBLE Gold Framework. This core mission is further flanked by the constant research on sustainable silver sources and tracing transparent sourcing for diamonds and colored stones as well. Safeguarding the cultural and historical heritage of jewelry making is our main inspiration and motivation. We believe that it is our duty to act as the patron of the goldsmith tradition. 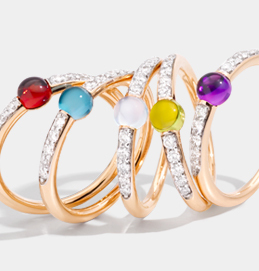 Pomellato is committed to improving the skills and abilities of its artisans. It encourages training in new areas of expertise and helps develop cutting-edge skills. Giving Human Resources a central role and ensuring unconditional respect for the rights of all are key aspects of Pomellato brand culture, which is why the Maison has adopted a code of ethics shared by both managers and employees. The positive result of this approach is substantiated by the low labor turnover and the employees’ strong attachment to the company. It proves that a joyful, healthy and safe work environment is a mandatory condition to ensuring continuity and well-being. Empowering women is a priority to the company, which is strongly committed to improving their social condition and quality of life. Pomellato will always encourage women’s education, development and growth, both professionally and socially, offering them the essential knowledge to access the labor market and to achieve the right. Pomellato’s credibility and reputation are grounded in sustainability, which is why the brand is committed to reinforcing its leadership role through focused operational improvements and through the building of a united green community. We envision a community in which everyone believes as much in manufacturing excellence as in ethical valuesand in taking care of the world around us.